The WordPress community is one that never really sleeps, so as you would expect, there has been some exciting stuff happening the past few weeks. Since many are still recovering from the holiday weekend, there’s a chance you might have missed out on a few things. Below is our end of the year roundup. We hope you enjoy! It lists the premium plugins in a direction listing. This allows for a plugin owner to submit their plugin and have it listed while also giving an additional place for it to be easily found. It will be interesting to see where Charlie takes the directory in the future and how the WP community will be able to further benefit from the site in years to come. Perhaps one of the most interesting things that drifted across my scope this month was MommyHost. The hosting company provides a free domain, free WP setup, a free business email address and 60 days to give it a go. If you’re a mom looking for a hosting company who gets it, why not check that one out? 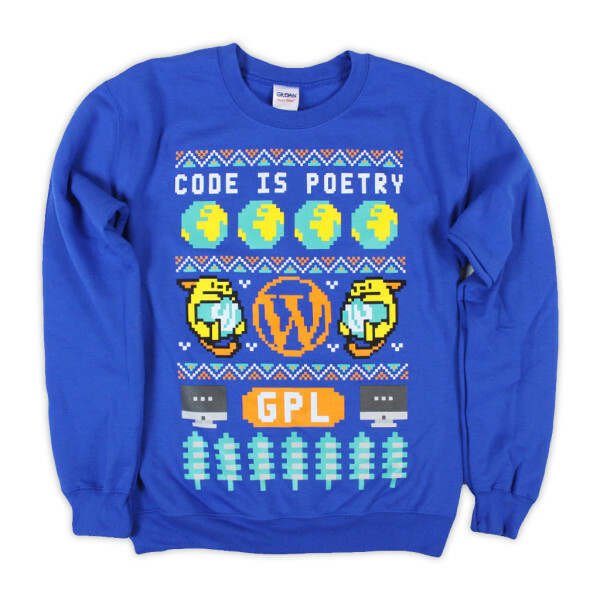 Did you know that WordPress has an apparel store? I personally own a handful of shirts and sweatshirt from the Swag Store, (That’s really the name of it, I’m not making it up) and now you can too. The latest addition to the store is an ugly Christmas sweater that really isn’t that ugly. I plan to snag one of these. How about you? Well, that about wraps it up for our blog this week, and 2015 too! We hope your year has gone great, and we look forward to getting more up on the blog in 2016. What type of posts would you like to see more of? Let us know in your comments below. As a WordPress web developer, I appreciate the flexibility, simplicity, and power Ultimatum offers. Ultimatum is the framework of choice for me at the moment, as I’m able to easily recreate the design provided by the designer. The various premium plugins included with Ultimatum are a great value (as they can be used in unlimited sites), and ideal for making impressive sites. Plugins like Visual Composer are also great for making the site easy and flexible for the client to use. The various actions and classes included are great for us developers as well, making it possible to customise it to the fullest extent. It’s visual and intuitive, powerful, flexible, and undergoing constant improvement (updates have been steady, and support has been quick to respond to any needs and ideas I’ve had); it’s quite possibly the best framework available for WordPress right now. Highly recommended.